The living room is a place for gathering – with our family for movie night or our friends for a nice long chat. For gathering up the trinkets and treasures that tell the story of who we are. And sometimes just for gathering our own thoughts. 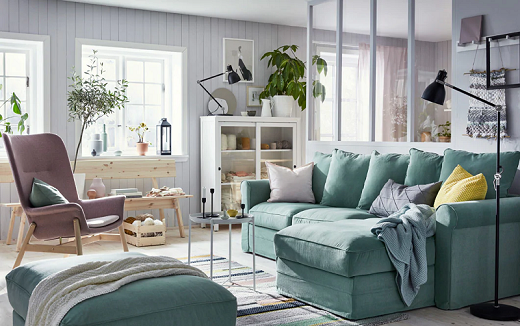 So that's what we design our living room furniture for – to help you create a space for bringing everyone and everything you love together. Have a great living room idea? Let's make it comes true with us. Take a tour around this living room turned little museum. 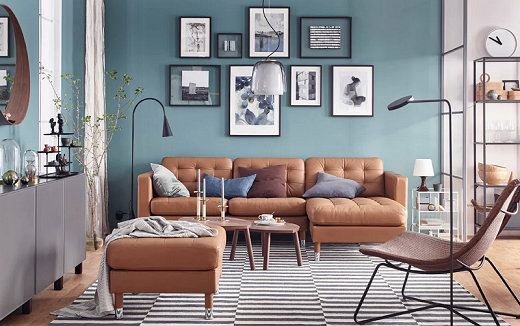 It has all the collector’s essentials: pedestals, pictures, storage and a leather sofa that will last a lifetime. There’s a place to display anything and everything here. Though small, this serene green cottage works just fine for the lady who lives in it. With a few pieces of functional furniture and a cosy couch, she has plenty of room for herself and her hobbies. There’s no shame in being a binge-watcher. See how this cinema-loving couple made their living room fit for movie marathons. A comfy sofa bed, tv bench and integrated lighting make it feel like you’re in theaters. 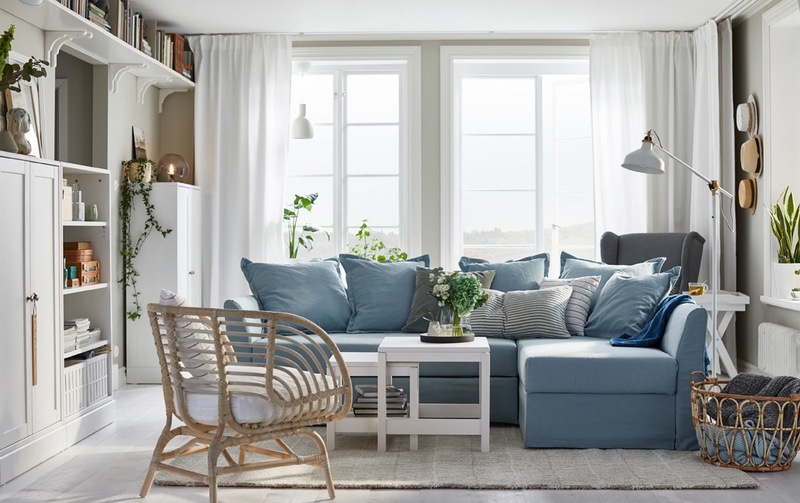 Take look at the small space in your living room. 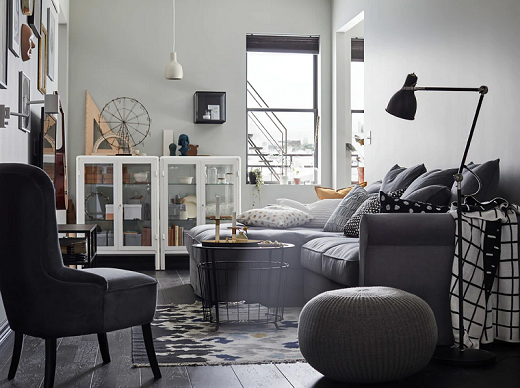 It’s possible to get an airy and uncluttered feeling at the same time. 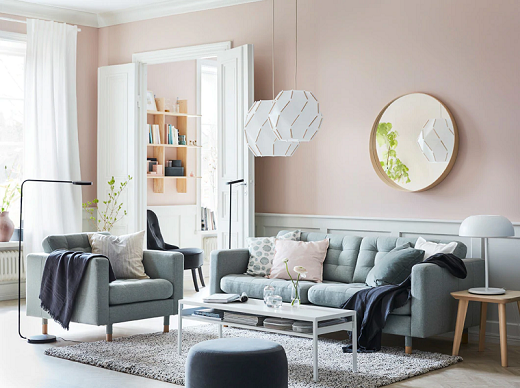 Hang just a few wall pieces and bring calming colours to the sofa to create the feeling of a wider, open space. Here’s a musical family whose living room represents their creative personalities. And while they may be a bit rambunctious, they’ve managed to find their groove. 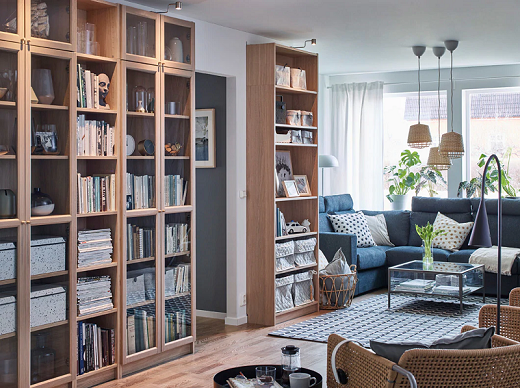 A sofa with storage and display cabinets help keep the clutter in check. Saturday morning cartoons? Not here. This family prefers to look beyond the TV, and glimpse at the great outdoors instead. Here’s how to get a fresh, organised look — even if everyone is in the living room. 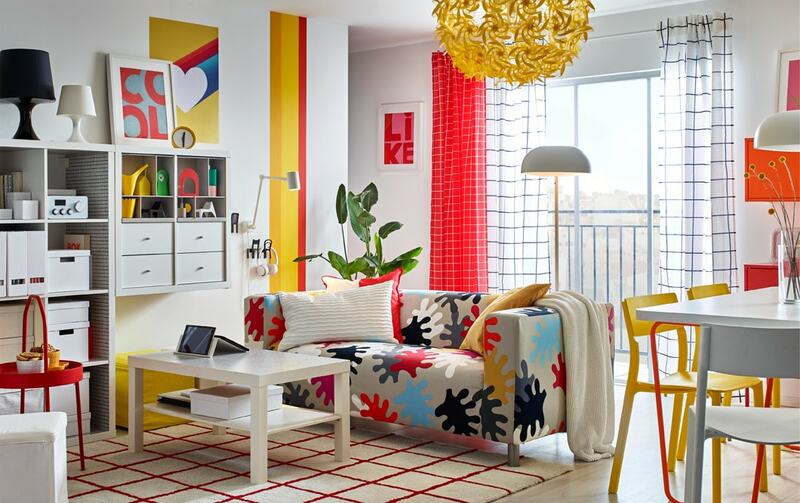 Liven up your living room with bold colored furniture like yellow or red. They not only brighten up your room, but also your day. Why choose when you can have it all? 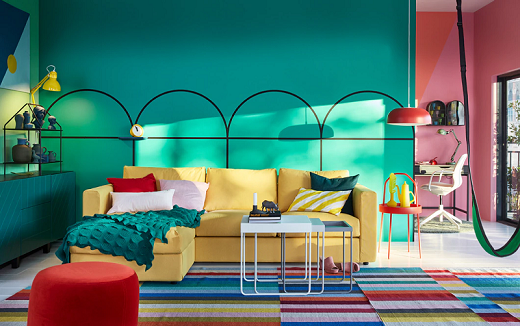 Combine your functional furniture favourites with some new, colourful and playful pieces that brighten up your living room! Flatmates are fun, but at the end of the day, everyone needs a place to call their own. 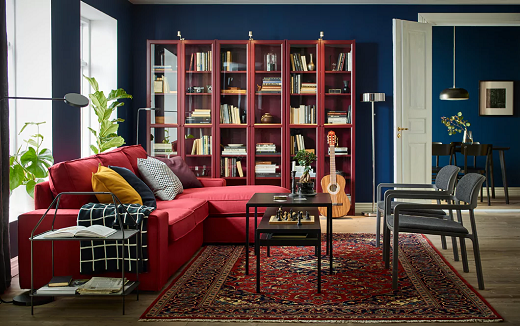 Maximise every nook and cranny of your shared living room with secret sofa storage and a shelving unit that can keep everyone’s things nicely separated. There’s only one you — and only you know what makes you feel at home. 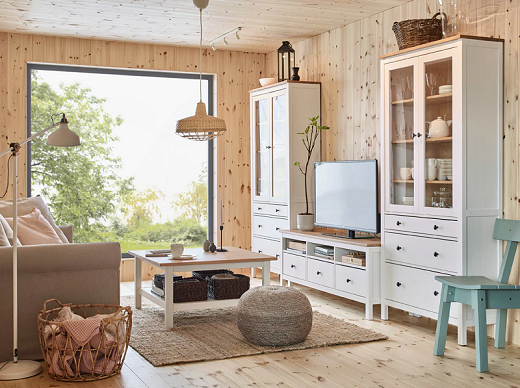 Show what you love in the living room, and keep the rest cleverly stored out of sight. Because home does more than mirror you — it supports you, too. 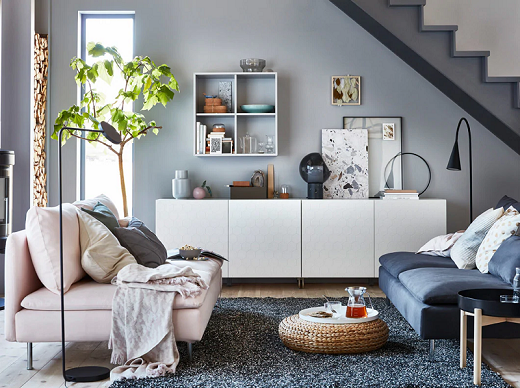 When your living room is also your bedroom, you need smart storage solutions. 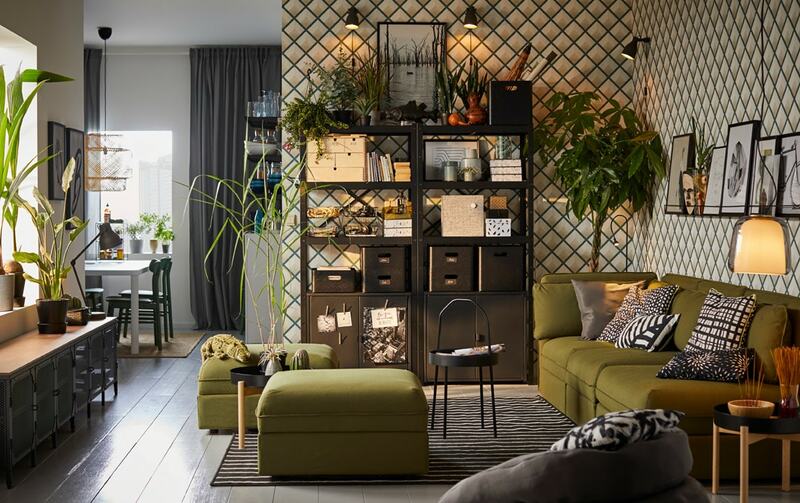 Modular storage, sofa beds and seating units with secret compartments are just a few ways you can clear up space and stretch out to relax. 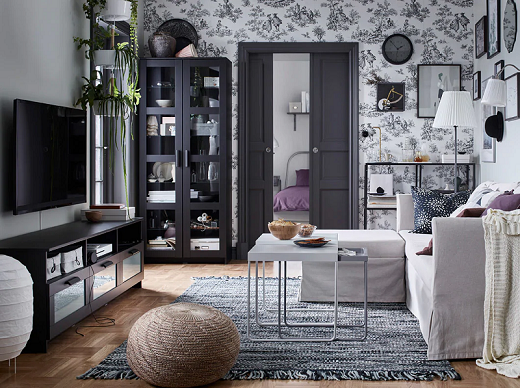 See how a small living room, thanks to the right storage solutions, still feels airy and inviting. 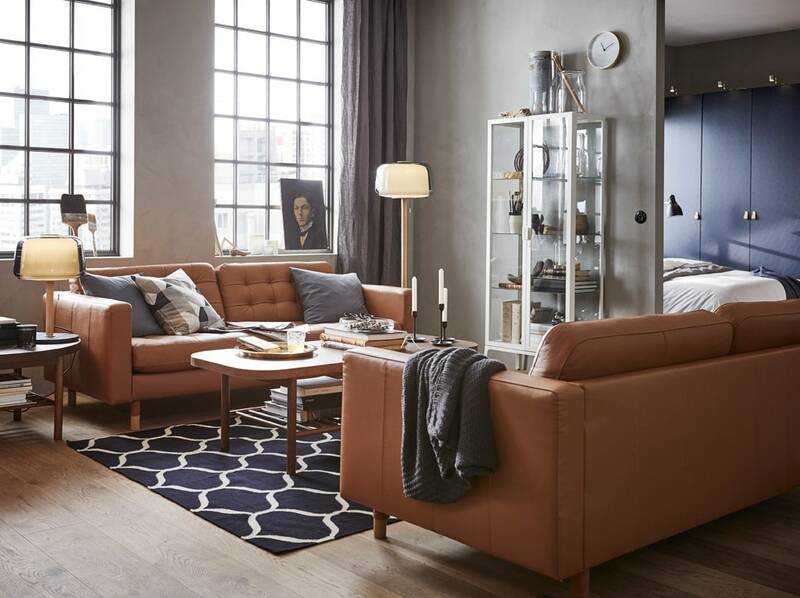 HOLMSUND corner sofa-bed offers hidden storage and room for your overnight guests. A kitchen with a touch of nature creates a relaxed feel and a natural yet beautiful look. 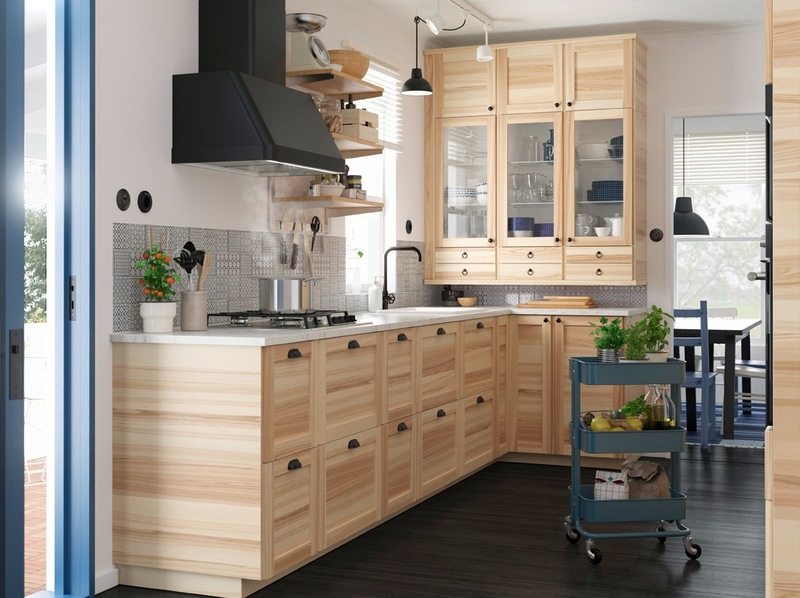 Ash cabinets, dark wooden floors, and black powder coated details – it’s all about finding the right balance!